← SPSM Chat cancelled for 9/29/13…Back on with new guests next week! The 10/6/13 SPSM chat will be featuring guest experts Linda Langford and Elly Stout, discussing best practices in suicide prevention social media. Our guests are experts in generating suicide safer media messaging, and will be answering your questions and sharing their thoughts with you. Dr. Linda Langford, Sc.D. has served as an evaluation and communications scientist at the SAMHSA-funded Suicide Prevention Resource Center (SPRC) since 2006. At SPRC, she has engaged in variety of efforts to promote effective communications, strategic planning, evaluation, and prevention practice across multiple audiences. Most recently, she has worked on several efforts designed to promote safe and effective messaging in suicide prevention. She is serving a major role in advancing one of the National Action Alliance for Suicide Prevention’s first four priority areas, “changing the national conversation about suicide” which involves “leveraging the media and national leaders to change the national narratives around suicide and suicide prevention to ones that promote hope, help, connectedness, social support, resilience, treatment, and recovery.” She is the lead author of an American Journal of Public Health article on safe and effective communications about military and veteran suicide, has served as a subject matter expert on national campaigns, and has conducted pre-conference and other trainings on creating and implementing effective communications campaigns. Linda holds a doctorate in behavioral sciences from the Harvard School of Public Health. 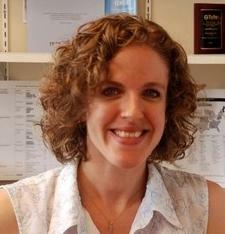 From 1998 to 2005, she was an Assistant Clinical Professor at Tufts University School of Medicine, teaching a core course in strategic planning for health behavior change in the master’s degree program in health communications. She holds a doctorate in behavioral sciences from the Harvard School of Public Health. Elly Stout, M.S. serves as the Prevention Support Program Manager at the Suicide Prevention Resource Center. Ms. Stout has over 11 years of health communication experience, specializing in social marketing and work with diverse cultural populations, and holds a Master’s of Science in Health Communication. Ms. Stout has worked extensively in communications and public health, including several years as Director a national social marketing program for HIV prevention in Burma. She has significant experience in the areas of strategic and health communication planning; materials development, production and dissemination; and collaboration on qualitative and quantitative research to evaluate communications programs. Ms. Stout has a proven track record in program management, team leadership, and implementing projects in diverse and challenging settings.